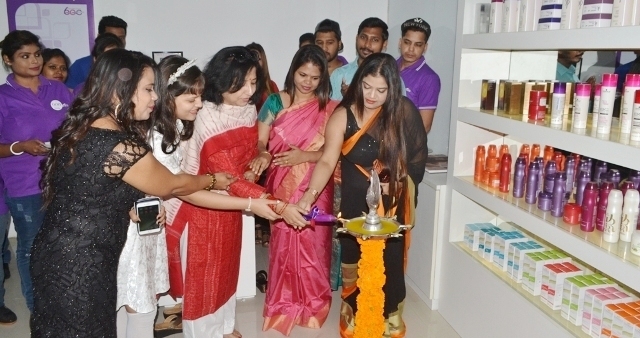 Naturals, India’s No.1 unisex hair and beauty salon has successfully launched its latest salon at Cuttack. Known for its signature hair spa and beauty treatments, Naturals is the largest organized salon brand in India. Spread over approximately 1500 sq. ft, the salon is designed to enthrall the senses of today’s generation which is constantly looking for new and innovative ways to express their attitude through their looks, keeping in tune with the latest trends across the world. From the interiors to specially designed bridal & VIP rooms, facial rooms and spa cabins,each aspect has been customized with the objective of giving their customers an extraordinary experience. The salon also will offer exclusive services to beat the summer heat with soothing and organic facials, manicure & pedicure. the launch of our Naturals in Cuttackis a step towards offering our niche services. Moving ahead we have plans to expand our wings across other in the North and consolidate our hold in Tier II and Tier III towns as well”. Ms. Priyanka Mishra Franchise Partner said, “Our focus is customer satisfaction. We will be providing the latest beauty and hair treatments to cater to the stylish and fashionistas in the city.” Naturals hasbeen keen on promoting women entrepreneurs and providing them an opportunity to associate with the brand by owninga franchise.